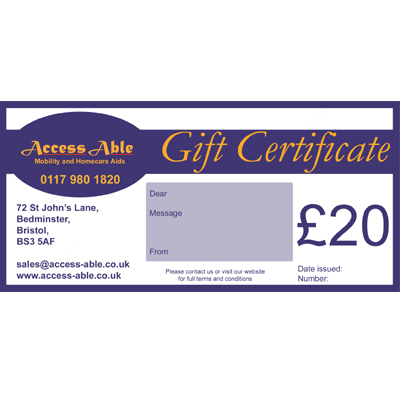 Give someone the gift of choice with an Access Able gift certificate. 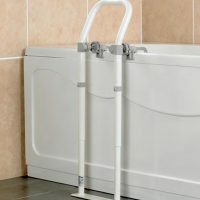 Gift certificates may be used towards the purchase of items found in store including daily living aids and accessories as well larger equipment. 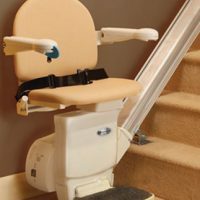 This also includes orders made in store, servicing or repairs of mobility equipment. Certificates are available as a £5, £10 or £20 voucher. Please see Terms & Conditions below for more information. 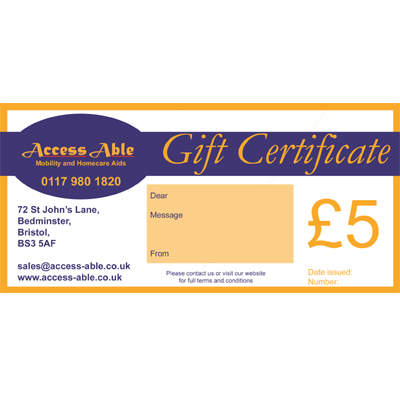 Gift certificates can be redeemed at our Access Able store in Bristol. They may be exchanged for goods of the same value or higher price than the face value of the certificate on payment of the difference. 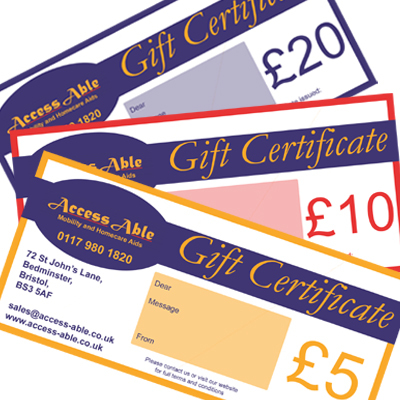 Gift certificates may be used towards the purchase of anything in store. 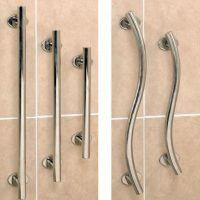 This also includes orders made in store, servicing or repairs of mobility equipment. Gift certificates are valid for 12 months from the purchase date. After 12 months, the gift certificate will no longer be valid. Gift certificates cannot be exchanged for cash. If any item purchased with a gift certificate is subsequently exchanged for an item of a lower price or refunded, any money owing will be refunded as a gift voucher. Gift certificates should be treated as cash. They are not cheque guarantee, credit or charge cards. 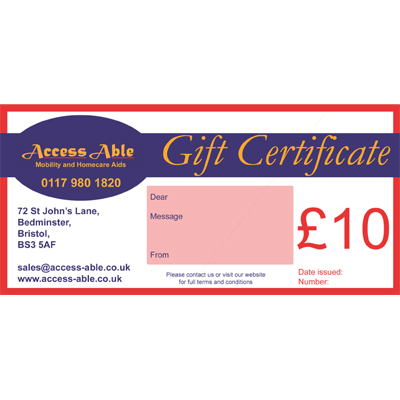 Access Able will not accept liability for lost, stolen or damaged cards. Duplicates or copies will not be accepted. Access Able reserves the right to amend the terms and conditions of gift cards at any time and to take appropriate action, including the cancellation of the gift certificate, if, in its discretion, it deems such action necessary. This does not affect your legal rights.